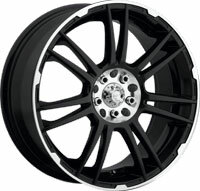 We offer a complete line Custom Wheels. Come check us out on or wheel and tire packages. We have all the great deals and we carry a huge selection of wheels in stock! We mount, balance and install all major brands of custom wheels and tires. 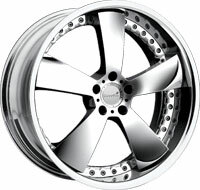 We move way to many sets of rims to keep them posted up on our site so please come and check us out! If you would like a price on something and you already know what it is go ahead and give us a call, we'd be more than happy to give you a quote over the phone. We also offer flexible layaway plans See store for details. Looking to make a statement? Chrome is the way to go. 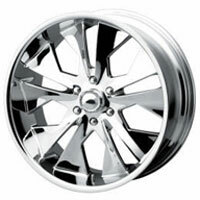 Whether you're looking for a sport or luxury look, chrome wheels offer a variety of looks for your car, truck or SUV. Looking for that Fast and the Furious look? Tuner (racing) wheels have it all for your sport compact car. Come in and browse our many catalogs today. Are you replacing two or more factory wheels? It might be cheaper to just replace the whole set with an affordable set of aftermarket wheels. There are several style of aftermarket wheels that have an OEM style to them. 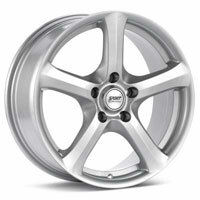 It is often cheaper to replace 2 or more damaged OEM alloy wheels with a whole new set of aftermarket wheels. Look, we understand that not everybody walks around with a lump sum of cash in their back pockets. Don't go throwing your money away with those "rent to own" wheel companies. Take a calculator with you if you do and you will realize that they will easily charge you 4 times the value of the wheels and tires on a rent to own plan versus buying them outright. We have a no hassle Layaway plan to help you get the wheels that you really want. Pay no more than you should your your wheel and tire package and put them on layaway today.